provides information and risk mitigation to maritime interests, as well as liaison services enabling win-win outcomes. Since startup in 2013 we have successfully executed engagements spanning Europe, Asia, South America, the Caribbean and both coasts of North America. Subsea cables carry more than 95% of all overseas communications, including internet, telephone, fax and data but worldwide they are damaged more than 150 times per year – mainly by ship anchors and fishing gear. It is imperative to protect these cables in the face of rapidly evolving activities that lead to new risk and uncertainty. More than 100,000 vessels carry people and goods ranging from crude oil to mobile phones. Fishing continues to evolve. Oil extraction is moving to deeper water. Offshore wind arrays and other sources of renewable energy are spreading. Oceanographic research and Marine Protected Areas continue to expand. Authorities and maritime sectors are engaged in discussions over which activities will be conducted in which areas. The Automated Notification System sending messages to ships near cables and their managers within a minute of an alarm​. 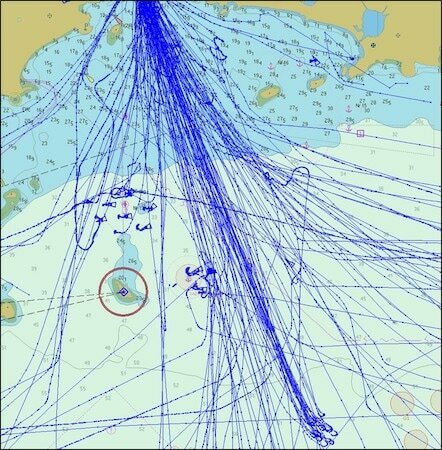 Back-testing planned and in-service cable routes to find safer paths, determine levels of risk, and identify particular ships causing risk, so that we can inform them before damage occurs. ​Sea Risk Solutions leverages experience, technology, innovation and people skills to mitigate risks and serve as a bridge among marine sectors. We are a proud member of the International Cable Protection Committee.